What are the challenges architects face when designing dwelling spaces of a limited size? And what can these projects tell us about architecture – and architectural principles – in general? 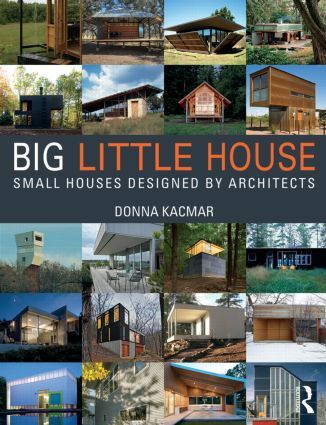 In BIG little house, award-winning architect Donna Kacmar introduces twenty real-life examples of small houses. Each project is under 1,000 square feet (100 square meters) in size and, brought together, the designs reveal an attitude towards materiality, light, enclosure and accommodation which is unique to minimal dwellings. While part of a trend to address growing concerns about minimising consumption and lack of affordable housing, the book demonstrates that small dwellings are not always simply the result of budget constraints but constitute a deliberate design strategy in their own right. Highly illustrated and in full-colour throughout, each example is based on interviews with the original architect and accompanied by detailed floor plans. This ground-breaking, beautifully designed text offers practical guidance to any professional architect or homeowner interested in small scale projects. Donna Kacmar is a practicing architect and an Associate Professor at the Gerald D. Hines College of Architecture at the University of Houston, USA, where she teaches Comprehensive Design Studio and directs the Materials Research Collaborative.